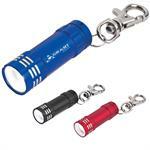 Whistle Keylights have a bright red light to make it easier to see your locks at night. Prices range from .89 to .51 each. 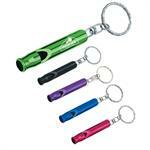 Our Whistle Key Rings are laser engraved with your logo. Prices range from $0.97 to .75 each. Our Mini Aluminum LED Light with Clip is laser engraved with your logo. Prices range from $1.99 to $1.51 each. Our Aluminum Stubby LED Flash Light has 6 bright, White LED lights and is laser engraved with your logo. Prices range from $3.19 to $2.37 each. 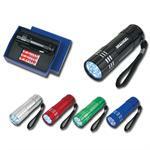 Our Aluminum LED Flash Light has 9 bright, White LED lights and is laser engraved with your logo. Prices range from $2.99 to $2.49 each. Plastic white whistle with split ring on plastic coil. 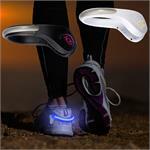 Prices range from .89 to .59 each. 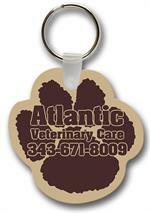 Our custom printed soft rubber keytags are available in the shape of all of the US States. Prices range from .54 to .42 each. THE MORE YOU ORDER, THE LOWER THE PRICE! Prices range from $0.94 to $0.52 each. 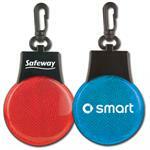 Custom imprinted Key Tags have been a go-to promotional product for decades. Simple, useful, affordable... you can't get go wrong. 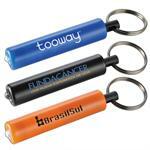 Our custom printed soft rubber keytags are available in a variety of shapes. Prices range from .54 to .42 each. THE MORE YOU ORDER, THE LOWER THE PRICE! Prices range from $1.99 to .89 each. THE MORE YOU ORDER, THE LOWER THE PRICE! Prices range from $0.75 to .55 each. Aluminum bottle opener opens bottles and flip-top cans. 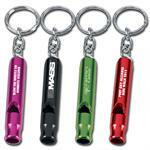 Your logo is laser engraved as white onto the bottle opener. Prices range from $.69 to .54 each. The Fox 40 P4 Safety Whistle can be heard omni-directional in a range as far as a mile. This is a serious safety whistle, making a 90db high volume blast. Prices range from $1.89 to $1.46 each. Heart-shaped rubber key tag. Prices range from .92 to .52 each. 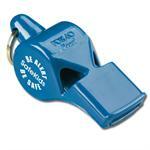 Our Stock Safety Whistle features a two-chamber design that emits a distinct, penetrating sound. Choose from our white whistle with the text "End Sexual Violence Now" or Blue Whistle with "Be Alert Be Safe Be Heard". Prices range from $2.39 to $1.69. Clip-on Reflector has 3 LED light settings(solid, blinking and flashing left to right) with press on/off button and function switch on back. Batteries are includes and inserted. Prices range from $1.74 to $1.34 each depending on how many you order. 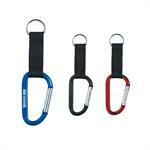 Slim Bottle Opener with metal key ring is an inexpensive but useful give-away that keeps your info accessible. Prices range from .59 to .35 each. 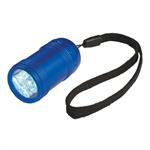 This compact aluminum Astro flashlight has 9 white LED lights, wrist strap and a push button to turn power on/off. Prices range from $3.19 to $2.21 each.